The late summer sun was sweltering, and the Fighting Irish were trying to cool off as their junior varsity classmates got their own game in on the team’s home turf at Camden Catholic High School. The JV starting goalie came off the field minutes in with a cramp, surely the result of the uncomfortable humidity on the first day of the high school fall schedule in South Jersey. Senior midfielder Julia Patrone was able to hydrate and recover after her team’s loss against perennial state power Eastern came to an end, but it didn’t stop her coach from ignoring the elements and having fun at his star scorer’s expense. Before handing an imaginary baton to Patrone for her own postgame interview, Vittese reiterated it to her, too. Patrone laughed. 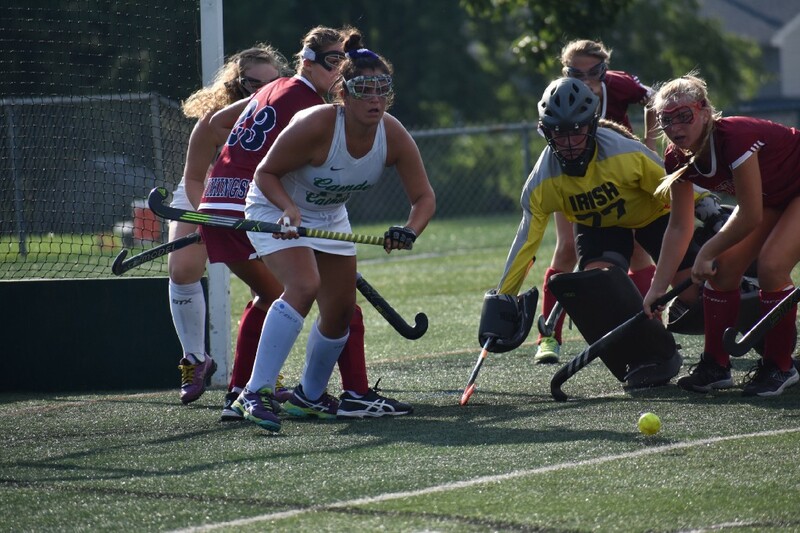 It’s never fun to be on the wrong end of a 6–1 score to start the season, but it’s senior year, there are plenty of games remaining on the schedule, and all of her goals (well, other than the more-than-modest one of beating Eastern) remain possible. Patrone, a Washington Township resident, seems right at home at Camden Catholic despite a long legacy of family success at Washington Township and despite less than a calendar year’s worth of games with the Irish. 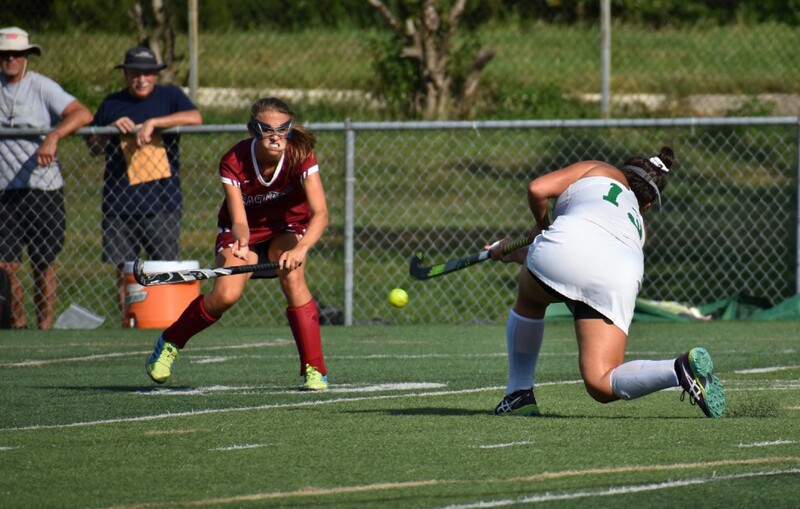 Patrone, the youngest of five siblings and the third to play varsity field hockey, transferred to Camden Catholic from Washington Township prior to her junior season. She had to sit out the first 10 games, per transfer rules. She still scored 20 goals on the season, an impressive feat when you consider her first game didn’t come until the regular season was a month old. Patrone came into the 2018 season with 60 career goals. While at Washington Township, she scored 15 as a freshman and then racked up 25 as a sophomore, earning first-team, All-Conference honors each year. That’s quite an accomplishment when you consider the caliber of teams in the Olympic Conference. But after so much individual success at Washington Township, where two of her older sisters played and earned college scholarships, and where her mom, Judi, also played before continuing her own field hockey career at Rowan University (then Glassboro State), Patrone left the Minutemaids midway through her high school career for Camden Catholic. Patrone may have left the high school her family all left their mark at behind, but she still relies on them regularly to get the best out of her own game. Her mother still plays in a women’s league and runs a training facility in Pitman; her older sister Lisa played at Rutgers University; another older sister, Jenna, currently plays at Kean University; and her brother, Kenny, was named to the United States Men’s Under-20 National Team just before graduating from Washington Township in 2013. “I’m the last one,” she said of the Patrone hockey lineage. Patrone would like to do something none of her siblings were able to accomplish: win a state championship. If Camden Catholic has such aspirations it will have to get past rival Bishop Eustace, which has won each of the last three Non-Public South championships. The Irish’s first of two regular season meetings with Eustace arrives on Sept. 17. 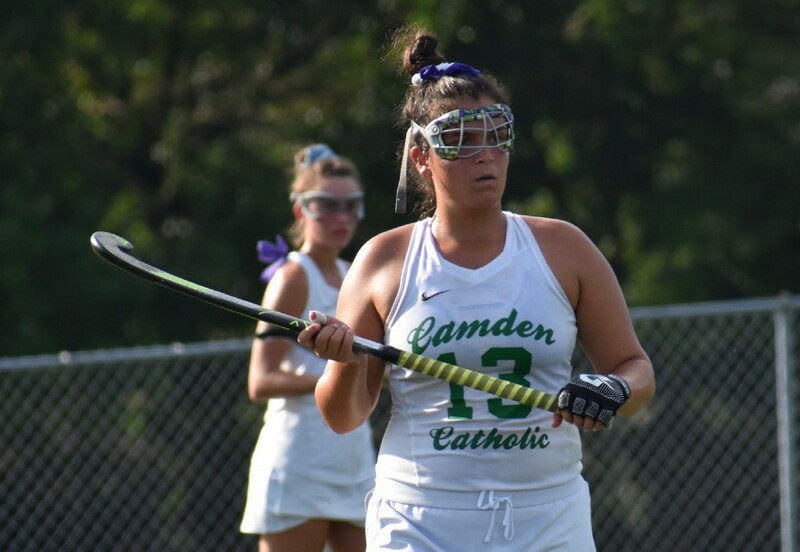 Camden Catholic should like its odds if Patrone ups her tally from 20 goals in half a season as a junior to, say, 30 as a senior?